People who don’t have regular maintenance services performed on their AC unit often end up waiting for emergency AC repair service during the sweltering heat of summer along with hundreds of other home and business owners. That’s why the winter season is the perfect time for check-ups on Carrier AC units and other brand name systems. Caldeco Air Conditioning & Heating is a family owned and operated business that’s been helping owners stay cool in the summer and warm in the winter for over 25 years. 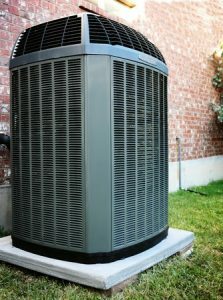 We are fully licensed and insured and offer the best AC services in the Tampa Bay area. In fact, we are the only Tampa air conditioning company to win the prestigious Carrier President’s Award five times in 2007, 2009, 2015, 2016 and 2017 for exceeding the highest expectations and exacting a strict set of standards for Carrier AC Factory Authorized Dealers. Caldeco Air Conditioning & Heating also carries the top AC unit equipment for homes and offices in Tampa, Wesley Chapel, Brandon, Westchase, Clearwater and beyond. Warranties are included on all equipment, and our installations are backed by the Carrier Corporation with a one-year, 100% Satisfaction Guarantee. Contact us today to sign-up for our maintenance agreement or get a quote on a new energy-efficient air conditioning system.